What is the most effective way to learn about terminology? Are dictionaries relevant for specialists? Are our languages more beautiful with lexical borrowing? Having worked as a terminologist for some 11 years and witnessing some challenges subject-field specialists have in finding the desired information in a dictionary, it’s not surprising that I have decided to write about specialists and their relation to terminography. I have also studied this topic in my Master’s dissertation (2012) which was about the general tendency of experts in using specialized dictionaries. It was my first attempt to write about this subject, but it wasn’t the first time observing the role of specialized dictionaries in the academic life of experts. Based on my experience, it is not occasional that a specialist cannot find a specific term in a technical dictionary, or if it is found, the definition or the semantic relations provided may not be accurate enough. This simply results in further searching for the suitable meaning or some other terminological information by multiple checking and comparison among existing reference resources. In other words, it might be the case that most lexicographical resources do not fulfill experts’ quality and quantity expectations. A simple question might be “what do they look for that cannot be found in a single specialized dictionary?”. Author BesharatFathiPosted on July 26, 2017 February 2, 2018 Categories dictionary, Introduction to Terminology, lexicography, Specialized dictionary, terminography, users profileTags corridors to terminography, lexicography, specialist, terminography, terminology2 Comments on Are dictionaries relevant for specialists? 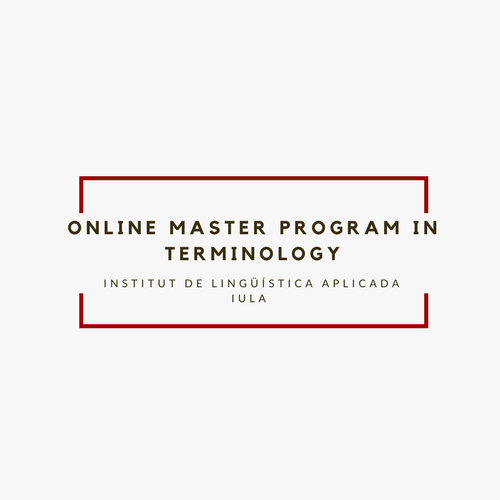 This modular master program provides an overview of theoretical and practical topics in terminology and explores subjects like communication, professional needs, documentation, terminography, and translation.